El Dorado garlic and chillies are grown chemical free relying on winter rainfall and minimum watering from deep underground springs. 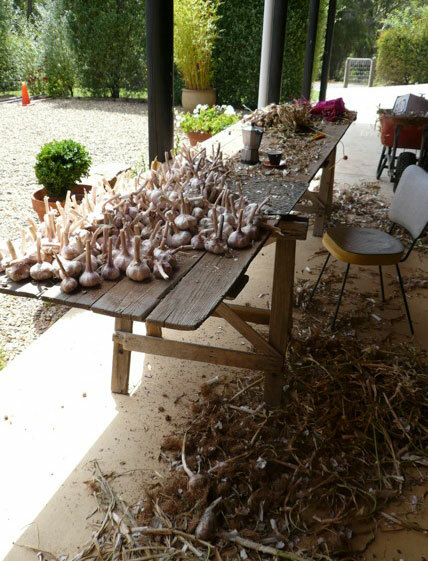 Tassie Purple and Mildura White garlic have a distinctive flavour, and are ready for harvest around the new year. The garlic and fresh chillie season lasts till May, but dried chillies are available all year. Farm gate shed now open, look for the yellow flutter flag and signboard on Main Street and Minjambutta Lane corner El Dorado. All enquires by email. Online orders are encouraged and can be posted any where in Australia.